Folk rock veteran Peter Stampfel, of the Holy Modal Rounders and a frequent Jeffrey Lewis collaborator as of late, has signed to Don Giovanni Records (Screaming Females, Waxahatchee) to release his newest solo album, Better Than Expected, on April 22. 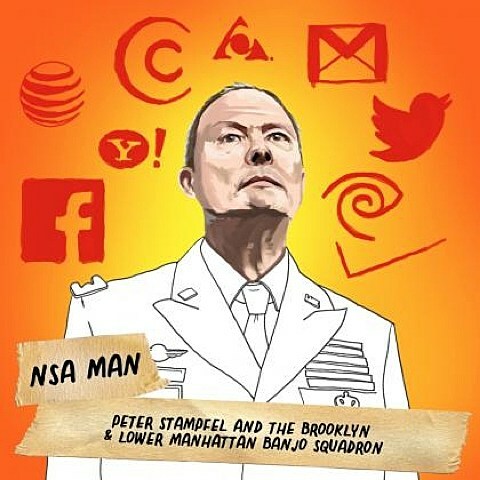 Peter recently released the single, “NSA Man,” which you can listen to below. That’s the single’s artwork above, designed by Faye Orlove (who did Potty Mouth’s recent “Black and Studs” video). The album artwork is below. 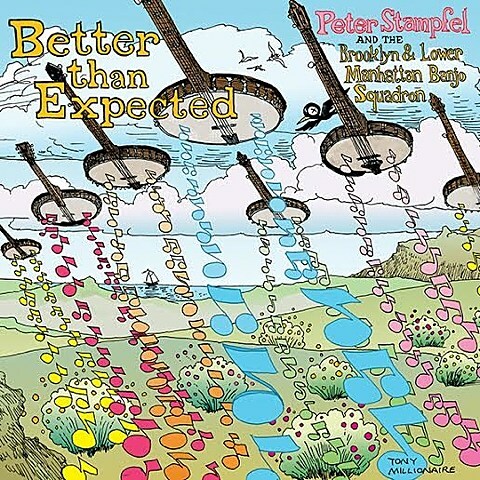 Peter Stampfel and his band, The Brooklyn & Lower Manhattan Banjo Squadron, will celebrate the new record with a release show on April 24 at Mercury Lounge. Opening that show is Peter’s pal Jeffrey Lewis and Jrams, the Bushwick Gospel Singers (featuring Peter’s daughter Zoe), and Modern Hut, the solo project of Don Giovanni co-founder Joe Steinhardt. Tickets go on sale Friday (3/14) at noon. 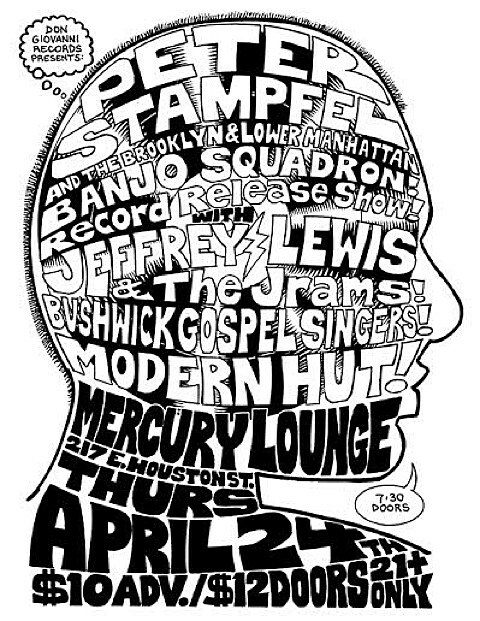 Show flyer, designed by Jeffrey Lewis, below.